Being in the industry since 2004, Delhi-based company Stage Curtains is the premier manufacturer of theatrical, exhibit and event curtains in India. Twelve years ago we started as a small business and over the years have expanded into a national company that provides draperies/curtains for school, theaters, television studios, colleges, corporate events, concerts, home, office and other performing arts centers throughout the country. Our skilled staff is dedicated to guide you through the design, selection, and installation of your drapery fabrics, curtains tracks, rigging system and backdrop. Our constant growth is the result of the strong relationships with existing our customers, and we’re hoping to build more trustworthy connections with our new customers as well. Hence, we’re working hard each day to produce professional theatre drapery with extraordinary quality for our customers. Stage Curtain’s vision is to provide theatre artists the best quality services for enhancing their skills and expertise. We are aiming to be your right partner for the stage production. Being a flourishing organization, we are hoping to provide opportunities to transform stage/theatrical experience for both artists and audience in a beautiful way. 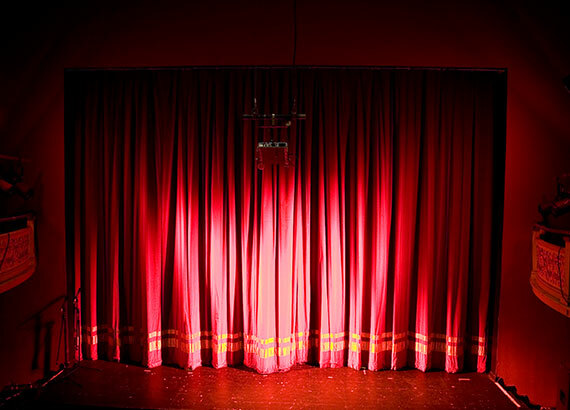 Stage Curtains specializes in all types of stage curtains from manual curtains to remote-controlled motorized curtains. We are intended to provide our customers with superior quality drapery fabrics that are not only durable but attractive looking. We offer cost-effective custom services to fulfill all custom stage requirements and help you build perfect stage for your audience.